KT-1080C3D Automatic locating cutting machine with camera is specially designed for embroidery, trademark, and woven label industries. 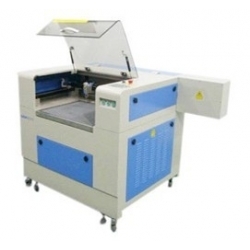 To meet the need of cutting for irregular shape labels and objects, we adopt the most advance DSP technology and locating cutting with camera system. We help customers to save time, reduce labor cost, and increase profits. 1.Install 3,200,000 pixel camera, accurately identify cutting edge and characteristic of objects according to the graphics, then cut the objects. 2.Use red-light scanning system, ensure more accurate locating and clearer graphics. 3.Running speed and laser power are adjustable, very convenient to operate. 4.Adopt high performance AC servo motor, make the machine works more smoothly, more accurately, and faster.